This is a totally self-working and completely hands off routine which can be a reputation maker for you and allows you to fully focus on your presentation. You will find this a real pleasure to perform. 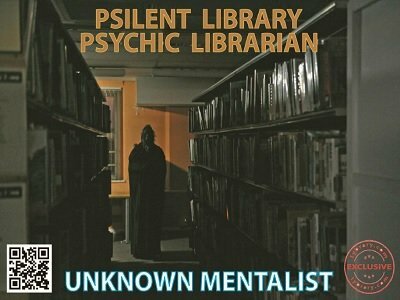 The theme is that of a psychic librarian who always accurately predicts the total deposit to be paid for a list of book choices made by a series of participants. In an additional phase, the performer can also accurately divine each individual choice of the participants. The method is a unique combination of two classic principles. It is very easy to perform and you can start performing almost immediately after reading the manuscript. Everything you may need, including the theme and presentation is fully worked out and included. Some alternative methods, additional phases and bonus ideas are also explained. This combo principle is powerful and flexible. You will surely find multiple applications for this method. There are no sleights, no stooges and no preshow. Nothing to reset. Everything is examinable before, during and after the routine. This is suitable for all venues like close up, parlor, walk around etc. Some great ideas shared by Paul Hallas are also included. This is another GREAT effect to perform on lay people. I knew about this effect before but the only thing stopping me from using it was I didn't quite like the original patter with the effect but the methodology used was incredible. Where else can you find an effect for this price and be able to predict the total price of the books selected AND pick up the thoughts of the title of the two books the spectators are thinking of? Years ago I used to do CASINO ROYALE from LARRY BECKER in some of my shows and CRUISE CONTROL from LEE EARLE in other shows. These are both effects with multiple predictions also and the props look great but the price difference was great also. All I can say is for 18 dollars you have a very nice effect which you can print up the props yourself. Also with three different presentations you will definitely find the right presentation for you. As with 99.9% of THE UNKNOWN MENTALIST'S material I recommend this highly. Very great ideas and routine. Top class thinking. For me, the best advantage is working in any language, not just English. This is another self-working. A lot of great idea in this ebook. I just used the routine in the afternoon. Just focus on your "Presentation" and refine it to fit your context. Also those bonus in this ebook are worth a price. This is extraordinary ! I have known the 2 basic principles in play here, almost all my life. But the way these are combined by the author - just simply brilliant. This can be a game changer - tis that good. Hats off to the author. Practically nothing for the performer to do - except present it well. All else is self working and unbelievably hands off - real pleasure to perform. Excellent work - highly recommended.